Both the Celtics and the Lakers are the two most storied franchises in the NBA, and the rivalry has been called the best in the NBA. The Boston Celtics and the Los Angeles Lakers have met a record 12 times in the NBA Finals, starting with their first Finals meeting in 1959. They would both go on to dominate the league in the 1960s and 1980s, facing each other six times in the 1960s, three times in the 1980s, and two times in the late 2000s. 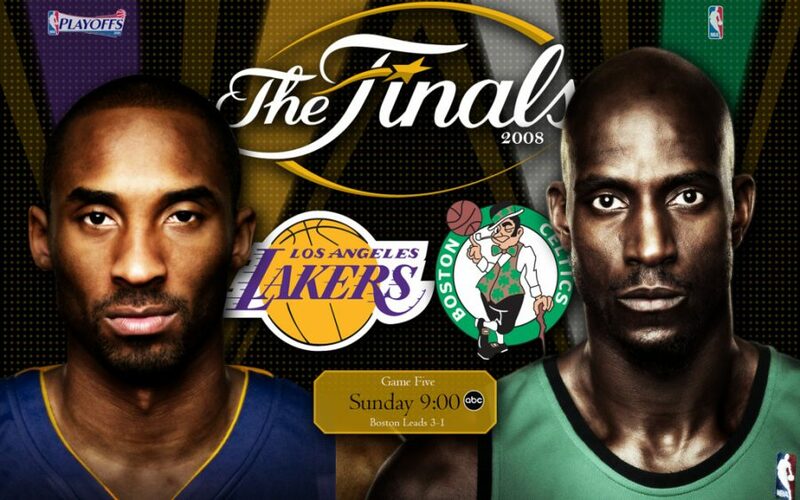 The rivalry had been less intense since the retirements of Larry Bird and Magic Johnson in the early 1990s, but in 2008 it was renewed as the Celtics, led by the big three of Paul Pierce, Kevin Garnett, Ray Allen, and the Lakers, led by NBA MVP Kobe Bryant met in the Finals for the first time since 1987, with the Celtics winning the series 4–2. They met again in the 2010 NBA Finals, which the Lakers won in 7 games. The two teams have won the two highest numbers of championships, the Celtics 17, the Lakers 16 together, they account for 33 of the 70 championships in NBA history. With the addition of Ray Allen and Kevin Garnett alongside Pierce to become the new “Big Three”, the Celtics returned to the top of the NBA in the 2007–2008 season by posting the best record in the league and reaching the Finals. The Lakers also returned to the Finals with the help of the mid-season acquisition of Pau Gasol, and the two teams finally met again in the 2008 NBA Finals. The Celtics won in six games with an impressive come-from-behind victory in Game 4 and a blow-out for the Lakers in Game 6.The next season, the Lakers and Celtics played a regular season game on Christmas Day.The Lakers won that game, making Phil Jackson the fastest coach to win 1,000 games.They went on to win the 2009 NBA Finals that season, but the Celtics were eliminated by eventual Eastern Conference champions Orlando Magic.In 2009, the Lakers signed Ron Artest, now Metta World Peace. The Lakers ended the season with the West’s best record, while the Celtics would enter the playoffs as the number four seed. Build up for a rematch began with the Lakers taking a 2–0 lead over the Phoenix Suns in the Western Conference Finals, with chants of “We Want Boston!” erupting in the Staples Center.Likewise, chants of “Beat L.A.!” erupted up in TD Garden as the Celtics took a commanding 3–0 lead over the Magic in the Eastern Conference Finals. Both teams fended off late series surges from their opponents, but Boston won their respective series 4–2, setting up a rematch in the 2010 NBA Finals. This year the Celtics have another chance to take the championship, though they will have to compete against both the Toronto Raptors and either the Houston Rockets or the Golden State Warriors.It will be a challenge for the Celtics.On the Lakers side, the Los Angeles Lakers will not be able to compete in the playoffs this year. The Lakers have brought in rookies with the potential to be great players.I believe the Lakers and Celtics rivalry will continue very soon in the future.